Show conversation expiry time in the conversations detail endpoint. Some shiny new features to play with. 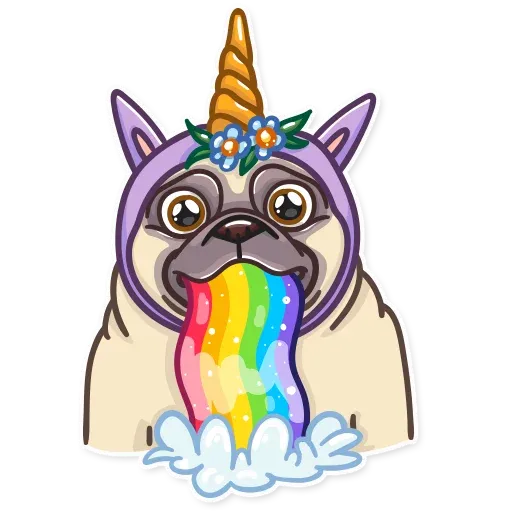 With the latest addition of sticker support in WhatsApp we decided that we love this feature so much that we needed it as soon as possible! The wait is now over, you can now enjoy all the goodness of stickers that customers send you. Added support to send an message with an image/GIF or any other type of attachment in one go instead of having to send two messages. Due to recent updates to the Whatsapp platform we had to implement a new version of the API. Facebook has changed some rules, so we change some rules as well. Fixed a bug in the API where we stored profile images double if the url changed but the image stayed the same. Prevent a race condition in the Facebook connector. If the auto-reply was enabled for a Facebook page we experienced a race condition that created two conversations and users. This has been resolved on database level now. Due to the breaking changes in the checkbox plugin of Facebook we modified our opt-in flow to merge opt-in conversations with the first messages of the user. Improvements to the Facebook Connector. The Facebook Connector now support the Facebook echo protocol. Messages send trough Facebook or other tooling connected to a page can now be duplicated and send to Social25. Performance improvements for handling the X-Hub-Signature authentication on the Facebook endpoint. First major release of Social25. This version is now marked 1.0.0 from now on all changes to the API can be found on the website. The manager profile now has a reporting function to monitor the amount of incoming messages, outgoing messages and some other statistics about the platform. New API endpoint for the Facebook connector to enable the use of Facebook message templates. Added support for the Facebook Opt-in. Social25 will use an externally provided conversation id in all communication from and towards Salesforce and in the API. This can be used to actively send customers Facebook updates like flight updates, boarding passes or even e-tickets. API rebuild to the latest version of DRF. Swagger docs are now generated by the API. Permissions have been implemented for all users. Performance upgrades to the Salesforce validate endpoint. It is now possible to configure how you would like the send to behave. The chat window now allows the chat window to send with "Enter", "Shift Enter" or just the Send button. Links that get send by customers or by you are now displayed as inline anchors making it possible to copy content from the chat window. The Social25 client now utilises the offical Whatsapp guidelines. Outbound message bubbles are displayed in the official Whatsapp outbound color. Everybody likes to receive and send GIFs. So do customer support agents. You now have the capability to send and receive GIFs using the new Tenor GIF keyboard. Improved usability of the Social25 client. With the release of version 1.3 of the API several features have been added to the client for extended support. Second major release of Social25. This version is now marked 1.1.0. This release contains performance improvements and a number of new features listed below. Support for more message types including but not limited to: Messenger Receipt and Button templates, Location, etc. First major release of Social25. This version is now marked 1.0.0 from now on all changes to the Client can be found on the website. The client has been refactored to use Redux. Added support for the new manager profile. Initial app start time has been improved. Added SMS and Twitter DM constraints. Added support for Facebook events to be shown in the chat. The authentication flow has been improved to integrate seamlessly with Salesforce and the API oauth.